Lawffice Space - Employment Law Blog by Philip Miles: BREAKING: NLRB "Student Assistants Covered by the NLRA"
BREAKING: NLRB "Student Assistants Covered by the NLRA"
You could see this coming a mile away; the only question was "when?" Today is the day. 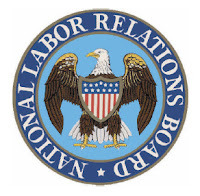 The NLRB issued its decision in Columbia University, holding that graduate students at private colleges and universities are employees who may form unions under the NLRA. The NLRB concluded that graduate students, including teaching assistants and student research assistants, were "statutory employees: individuals with a common-law employment relationship with Columbia University." This decision overrules Brown University, which generally held that graduate students were primarily students and therefore not employees. This decision does not directly impact public universities as they are generally governed by state bargaining laws (for example, in Pennsylvania we have the Public Employe Relations Act, which falls under the PLRB's jurisdiction). You can read the NLRB's announcement here.